The word “culture” means different things to different people. A biologist may hear the word and think of cell culture, the painstaking growing and sustaining of cells in laboratories. A farmer, meanwhile, will surely think of (agri)cultural methods used to boost crop health. A fine arts connoisseur will speak of her exposure to “high culture”—museums, symphonies, the ballet. The rest of us, meanwhile, understand the term plainly: culture is traditions, values, and behaviors. It’s how we live with one another in community. Betty Jo (Fite) Hays understands this to be special. “Humans are the only animals on the planet who live in communities like we do,” she said. “There are other species, of course, that live in batches, groups, flocks, and the like, but that’s not quite the same thing as human community. We work with ideas.” These ideas—from political to poetic, educational to engineering— feed us all. They grow and sustain us; they give us health. For Thanksgiving, Betty Jo and her sons, Tom and Daniel (seated), and John (standing), celebrated at Grassy Lake. Betty Jo has been caring for her communities for decades. Her most basic résumé of service is 490 words long, beginning during her college years and jutting up to present day. “That list [of service] is only that long because I’m so old,” Betty Jo said, though this is assuredly not true; few people will ever boast such a record of community service, no matter their life spans. She has served on at least 12 nonprofit boards, chaired six of those boards, and been president of at least nine organizations. 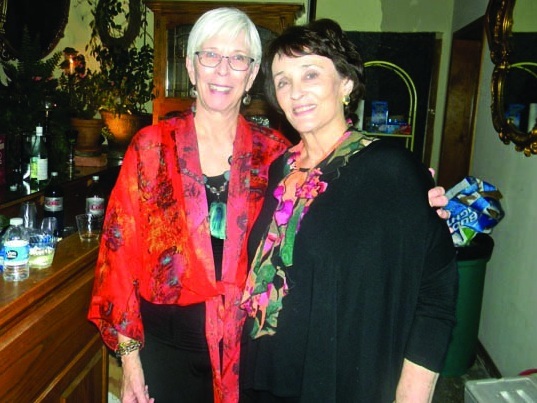 Betty Jo (right) celebrating her sister Francie Fite’s birthday in Tahlequah, Oklahoma. This way of life has benefited the people around her well, but it has also sustained Betty Jo herself. Since the death of her husband, Tom, in 2008, she has relied largely on this philosophy to keep going despite her grief. “Living a useful life propels me to function even when ennui tries to take over,” she said. Betty Jo surrounded by her nine grandchildren on Thanksgiving 2017. With her are: (front row) Allie, Francie, Helen Clark and Clementine; (back row) Edward, Luker, Thomas, Arthur and Tristan. After her granddaughters’ dance recital last year, Betty Jo and son, John, take time to congratulate her granddaughters, Helen Clark and Francie. 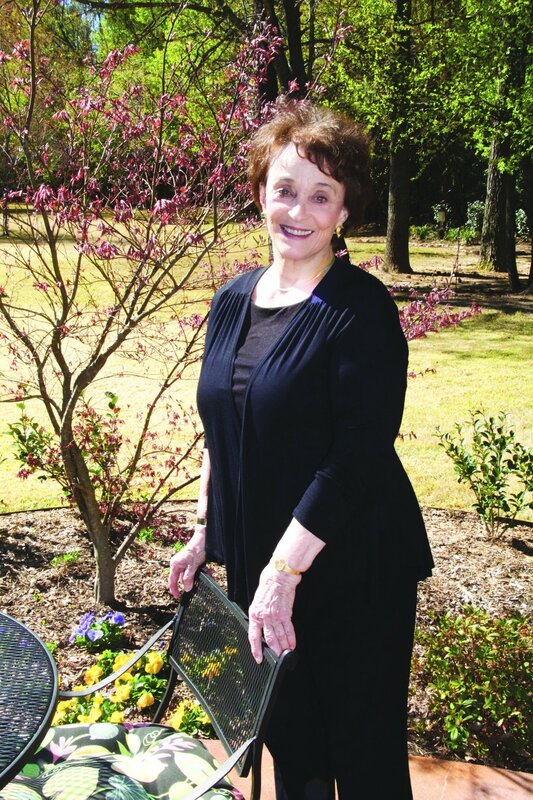 Betty Jo would, decades later, earn her master’s degree in business administration from East Texas State University (now TAMU-Texarkana) and become an adjunct business and economics professor at the University of Arkansas Hope-Texarkana (UAHT). Betty Jo with her son, Daniel, and granddaughter, Allie, during Allie’s graduation from TCU in 2016.